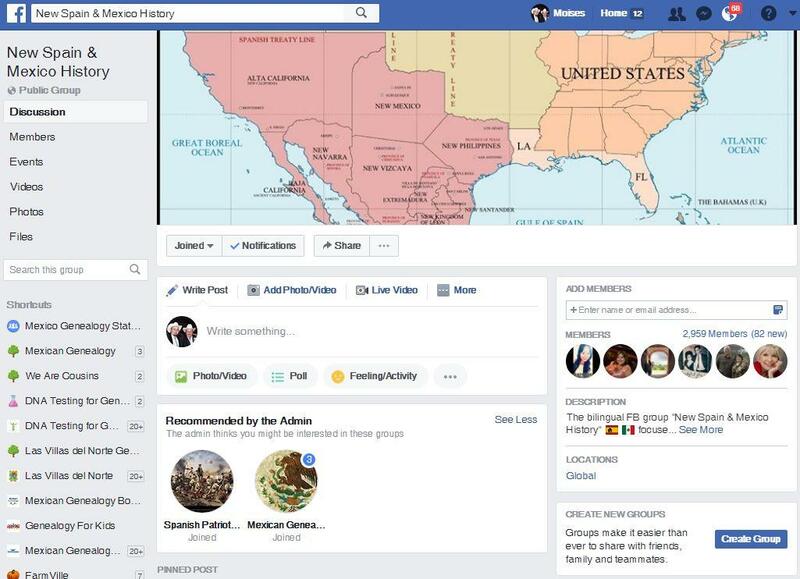 If you follow our Mexican Genealogy Facebook Group then you know that historical posts are not allowed unless you tie them in with your personal family genealogy and or family history. I personally am a history buff but our group is focused strictly on genealogy. It is for this reason that I want to make you aware of Cindy’s group. It is the perfect place to share tidbits, blog posts, and articles about history concerning New Spain and Mexico History. I highly encourage you to join Cindy’s group New Spain & Mexico History and share history there and keep on sharing genealogy resources and or inquiries at our Facebook Group Mexican Genealogy. 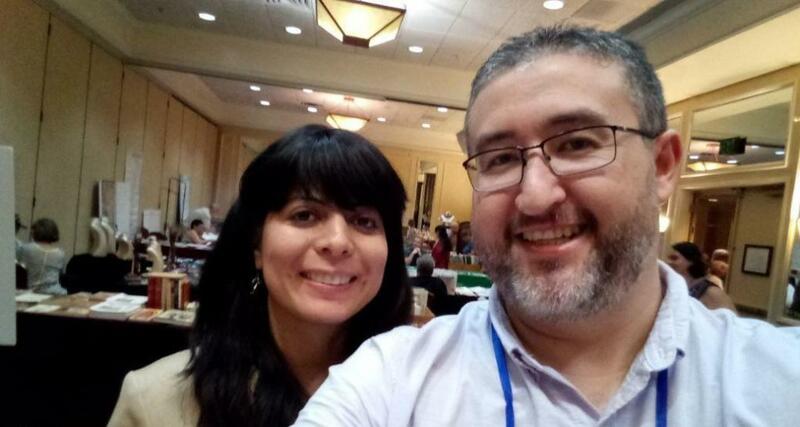 I had the pleasure of meeting Cindy Medina in person during the recent 38th Annual Texas Historical and Genealogical Conference in Austin Texas this past September 27 – 30 and thus was able to take the photo above. Cindy is very energetic and outgoing and her goals for her group are focused to only New Spain and Mexican History. Her vision for her group is to create a great community that is proud of their rich history just as our own community is proud of their rich Mexican ancestry and roots. The bilingual FB group “New Spain & Mexico History” focuses on the history of Spanish exploration, settlement in North America and celebration of Spanish heritage throughout the vast region — just as other groups focus on New England. We welcome members with New Spain ancestry who want to share articles, posts and pictures about this era. We embrace our Mexican heritage including our Indigenous history. We welcome history from both Mexico 🇲🇽 and Mexican-American sides. We welcome posts suggesting reading material, especially history books. I hope that this group helps us history buffs share what we come across that is historical but that it is not appropriate for our Mexican Genealogy Facebook Group. See you in Cindy’s group! Does anyone know that there is a Moctezuma III ? His name was Alonso Mancilla de Teurel and he holds the title. He never got to rein because . He was going to be the next emperor of Mexico but the revolution ended the monarchy. Most people don’t know this even in Mexico. On the internet there is an error misspelling his name Marcilla. this is an error all over the internet. Juan de Mancilla and MOCTEZUMA. So much history in Mexico it’s mindboggling. after Mancilla Moctezuma died in Louisiana I dont know why they did that. I was not aware of it, thank you for the information.